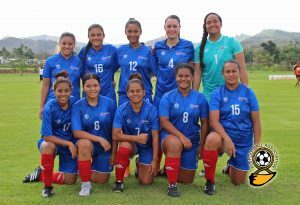 This afternoon the Football Federation Samoa (FFS) held a press conference to officially announce its Senior National Women’s Team which departs tomorrow for the OFC Women’s Nations Cup in New Caledonia 18th November – 1st December 2018. The tournament doubles as a qualifying tournament for the FIFA Women’s World Cup 2019 and the Olympics 2020. Eight teams are participating in the tournament. 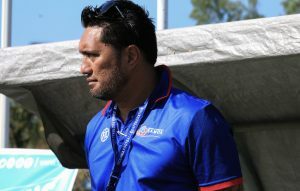 Samoa is in Group A with New Caledonia, Papua New Guinea and Tahiti whilst New Zealand is in Group B with, Fiji, Tonga, and Cook Islands. Team Samoa made it to church on Sunday. Photo taken outside of the CCCS Tulaele Church with Rev.Elder Fa’auuga Mata’utia.